Schreiben Sie unserem deutschen Vertriebsteam! Happier customers and bigger profits. What's not to love? 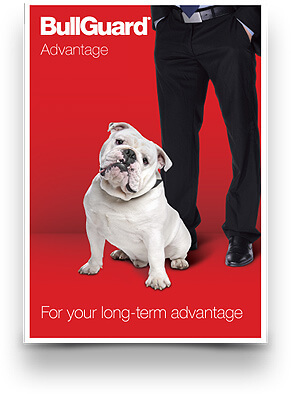 it tells you everything you need to know about BullGuard Advantage. Your success is directly linked to our success, which is why we do everything we can to support our resellers and to make our partnerships with them as straightforward and profitable as possible. Whether you’re a retailer, system builder or an organisation looking to help your customers or members stay safe online, we have the products and remuneration deals to help you become more profitable. Our comprehensive range of award-winning products meets all the needs of home users and small businesses. Simple to use, fast and lightweight, BullGuard offers the best in everything from Malware catchment rates to effective Parental Controls. Our products are available as ESD for pre-install use; Softbox for bundling with a device; or Retail boxes for sale as standalone products. BullGuard Internet Security 2016 has been awarded ‘best buy’ and ‘best-in-test’ by the leading independent consumer testing organisations in the UK, Netherlands, Denmark, Sweden, Belgium and Germany. We have one of the highest product margins in the industry which means you make more money per product sold. BullGuard’s Revenue Share Programme gives you 25% of the license renewal your customers generate every time they renew online for the life of that product, while you remain an active BullGuard reseller. And as up to 85% of our customers renew their licenses each year, your accumulating revenue share can be very substantial. 24/7 Gold Partner Support. In-country product support is available for partners and end users on a 24/7 basis. Partners are guaranteed a 15 minute response time to emails or for more urgent enquiries, our online chat option gives you and your customer’s direct and immediate access to our support team. The support team also has the ability to remote access any PC to assist with particularly troublesome issues you or your customers may encounter. In-Store Sales Support. Advantage resellers benefit from in-store sales support with free Point of Sale materials in the form of pop-up display stands, store posters and branded banners as well as easy-to-understand product literature. Channel Sales Support. Our dedicated local Channel Sales team focus on helping you provide the very best online protection for your customers and get the most out of your BullGuard partnership; providing you with the help you need when you need it, including a full range of marketing tools including campaign eshots, compelling content, box shots and banner ads for online use. The BullGuard Reseller Lounge is stocked with tools and information to keep you ahead of the game. It’s where you can see your Revenue Share accumulating and also make a claim for payment. Isn’t it time you made your customers happier, and your business more profitable? BullGuard have become a fundamental part of our business over recent months and allows us to upsell products to our customers which should lead to them coming back, year after year, for laptop servicing and support.